Can GoPro capture Apple's magic? Since its IPO a little more than a year ago, action camera specialist GoPro has taken investors on a wild ride. The stock doubled from its IPO price in just four days -- and then doubled again, peaking at $98.47 in early October. Since then, it's been mostly downhill. GoPro (GPRO) stock plummeted to less than $40 by March, and while it has since rebounded to about $55 per share, that's still far below the highs of last year. GoPro's poor stock performance can mainly be traced to worries about commoditization of the action camera market. Numerous companies have moved into the space, typically with significantly lower price points than GoPro. Yet investors have long harbored similar fears about Apple (AAPL) -- but the long-feared collapse has never occurred. Could GoPro follow in Apple's footsteps? What it means to be like Apple: Before diving too far into this question, it's important to clarify what I mean by suggesting that GoPro might be the next Apple. Even if it is extremely successful and expands into some new markets, GoPro is not going to become a $200 billion-plus business with a $740 billion market cap like Apple. But with a market cap of about $7.5 billion and projected 2015 revenue of less than $2 billion, GoPro doesn't need to become Apple's size to deliver stellar returns for shareholders. On the other hand, GoPro may be able to emulate many of Apple's most desirable characteristics. This includes developing a massively powerful brand, focusing on design, building a unique ecosystem, and (through all of these pathways) achieving strong sales and earnings growth. This is what I mean by GoPro potentially being the next Apple. Nothing like the real thing: Apple bears have repeatedly been tripped up by focusing too hard on the quantifiable, technical specifications of Apple's products. The guts of Apple's devices consist mainly of commodity hardware that other vendors can copy. In fact, flagship Android phones tend to have higher specifications than the iPhone -- sometimes by a wide margin. Yet Apple is able to take its commodity hardware and charge higher prices than competitors. As a result, it has recently been taking more than 90% of the entire smartphone industry's profit. Similarly, there is nothing proprietary about the components of a GoPro camera. Therefore lots of companies have followed it into the action camera space, such as fast-growing Chinese tech firm Xiaomi. Xiaomi's Yi camera is about half the price of GoPro's cheapest model, but has roughly comparable specifications. Just as Apple has managed to maintain a corporate gross margin around 40% despite ample competition, GoPro's rivals haven't caused any noticeable impact thus far. 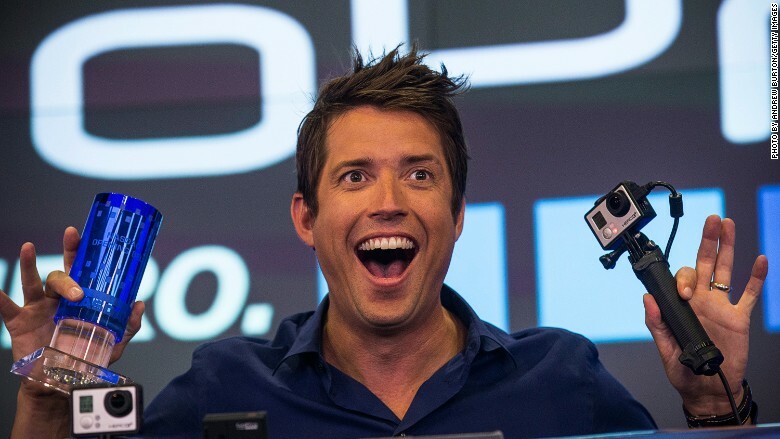 GoPro's gross margin surged by more than 8 percentage points last year, reaching 45%. It remained near that level in Q1 and GoPro's management has projected that this trend will continue in Q2. It's all about the brand, design, and ecosystem: So how does GoPro manage to generate a stellar profit margin using commodity parts? Easy: it follows Apple's playbook. First, GoPro has built an incredibly powerful brand. With a devoted, satisfied user base, GoPro benefits from lots of positive buzz that fosters brand awareness. At least in the U.S., people looking for an action camera tend to ask specifically for a GoPro. It doesn't matter if competitors have "good-enough" products for half the price if consumers never consider another brand. Second, GoPro is increasingly trying to differentiate itself through product design. It recently introduced the GoPro HERO4 Session, which is significantly smaller and lighter than previous GoPro cameras, and is waterproof out of the box. It isn't as capable as the HERO4 Silver -- the second-tier camera in GoPro's lineup -- but will retail at the same lofty $399 price point. It will be interesting to see how successful this innovative design is. Finally, GoPro is investing a lot of effort in creating a unique ecosystem to ensure that customers stay loyal to the brand. It has created a massively popular YouTube channel that allows GoPro users to share their videos. Today, its main effort is to create a cloud-based video editing platform that will make it dramatically easier to access and edit videos. Reaping the rewards: Thus, GoPro is using many of the same tactics as Apple to maintain its leading position in the action camera market. And its track record of financial outperformance shows just how successful it has been. GoPro reported record revenue of $633.9 million during the 2014 holiday quarter. That was up 75% year over year, and easily exceeded the guidance range of $550 million-$580 million. Adjusted EPS of $0.99 came in far above the average analyst estimate of $0.70. The story was much the same in Q1. After GoPro projected quarterly revenue of $330 million-$340 million in early February, the company posted revenue of $363.1 million: up 54% year over year. Adjusted EPS of $0.24 comfortably beat the consensus estimate of $0.18. Clearly, GoPro is on the rise. And while action cameras will never be as ubiquitous as smartphones, GoPro only sold 5.2 million devices last year, so there is plenty of runway left for market expansion. It is also plotting moves into the drone and virtual reality markets, two other potential long-term growth plays. Many investors seem to be skeptical of GoPro's ability to maintain its stellar margins while continuing to grow rapidly. But Apple has been able to stay dominant in its markets thanks to its strong brand, focus on design, and superior ecosystem and user experience. GoPro is well positioned to follow in Apple's footsteps.